Thanks to the late-game heroics of junior guard Derrick Washington, The Lincoln University men’s basketball team survived a high-energy overtime game against Bowie State University, winning 60-59 Saturday evening at Manuel Rivero Gymnasium. Bowie State jumped out to an early seven-point lead with a little over nine minutes remaining in the first half. Lincoln closed out the half with a 22-11 run, taking a four-point lead going into the half. The Lions’ lead extended to eight with 12:08 remaining in regulation. Bowie State responded with a 15-4 run capped with a basket by Ray Gatling, giving his team a 53-50 lead with 35 seconds left on the game clock. Moments later, Lincoln’s Derrick Washington nailed a three pointer to tie the game at 53 a piece with 25 seconds remaining. Bowie State missed their last two field goal attempts in regulation by Byron Westmoreland and Bryan Wilson as the game headed into overtime. A pair of free throws in overtime by Westmoreland, and later Wilson, gave Bowie State a 59-57 lead with 14 seconds left. After a 30-second timeout by the Lions, they returned to the floor with possession of the ball. Washington drove to the basket and hit a tough layup against Westmoreland and drew the foul. With 1.8 seconds left, Washington sank the free throw giving Lincoln a 60-59 lead. Wilson’s last shot attempt, a near full-court heave, came up short as the final buzzer sounded. Much of Lincoln’s full crowd stormed the court around the Lions to celebrate the win. The Lions’ offense went stagnant down the stretch of the second half, but Washington broke the dry spell with his clutch three pointer. Washington led all scorers with 19 points, and also added four rebounds. Sophomore forward/center Will Cole contributed 12 points and 8 rebounds as well. 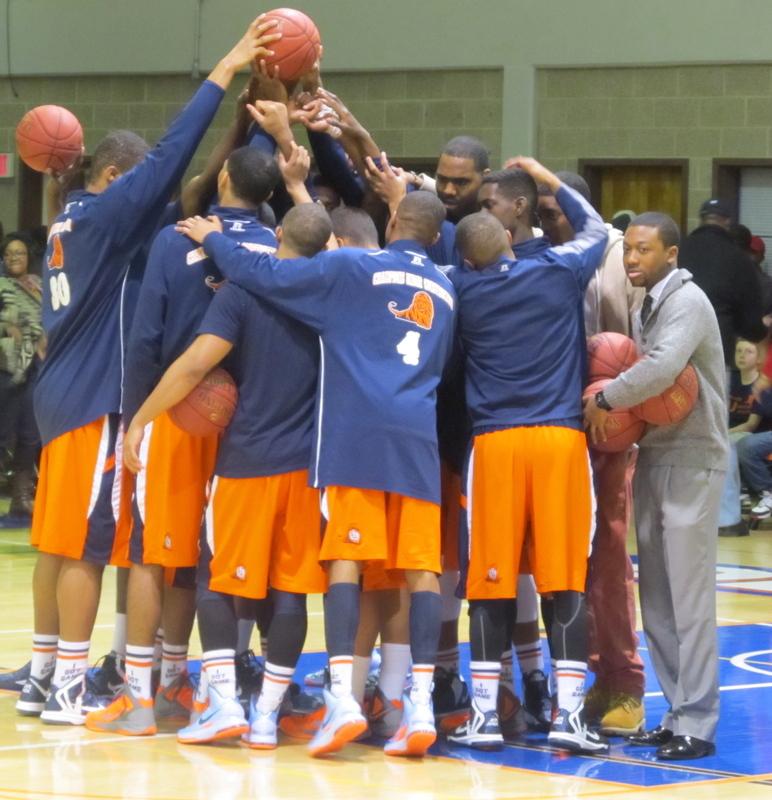 The 13-9 Lions’ next game will be held on Wednesday at Elizabeth City State University at 7:30. On Saturday afternoon, the Lincoln University women’s basketball team defeated Bowie State University at Manuel Rivero Gymnasium, 65-50. The first half was a hard-fought battle and the score remained close. Both teams shot under 35 percent from the field in the initial 20 minutes. The Lady Lions led 31-29 going into halftime. The shooting struggles continued for the both teams in the second half, but Lincoln was able to take control of the game by getting to the free throw line continuously. The Lady Lions drew 19 fouls and attempted 31 free throws in the second half. Despite the high number of trips to the line, the Lady Lions made just 30 of their 50 free throws throughout the entire game. The misses from the charity stripe weren’t a huge problem on Saturday, as Lincoln never trailed in the second half. “This is a game to redeem ourselves,” said freshman guard Courtney Smith, who lead the way with 13 points. Smith’s 13 points included a perfect game from the field and the line. She made all three of her field goal attempts , all of them three pointers, and all four of her free throws. She also pulled down five rebounds. Senior forward Tahlar McIntosh also recorded 11 points and five rebounds. Sophomore forward Courtney Lucas contributed nine points, five rebounds and three assists as well. The Lady Lions, who are now 8-14, will hold their next game on Wednesday at Elizabeth City State University at 5:30 p.m.